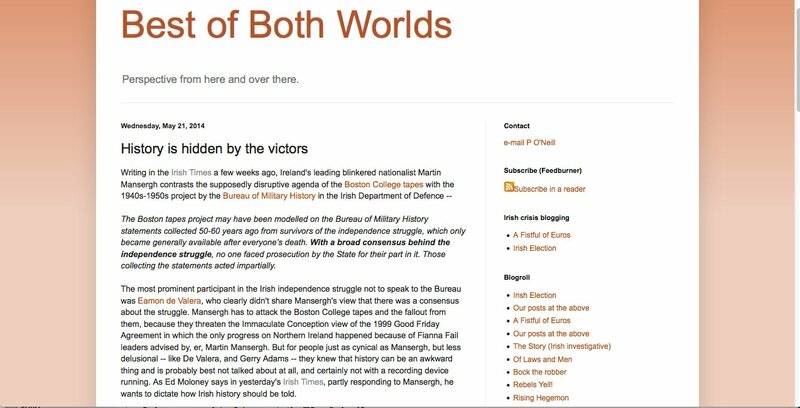 Some perceptive commentary on the Martin Mansergh critique of the Boston College project published in the Irish Times which I endorse thoroughly. Indeed the premise that history should also be told by the losers and the grassroots informed the creation of the project. Click to expand.